Subaru vehicles are known for their high performance and powerful drive. While you expect your vehicle to be reliable, unforeseen issues can occur with your vehicle that require expert maintenance or repair. Subaru vehicles require high quality auto repair specialists when it comes to services and repairs. At Hoesly Automotive in Vancouver, WA, our ASE certified master mechanics are specially trained and experienced to work on all makes and models of Subaru. Whether your Subaru needs a major repair or is due for scheduled maintenance, our experts can help. If you’re experiencing any issues with your Subaru, bring your vehicle into our Vancouver auto repair shop. Our shop has the latest, state-of-the-art diagnostic equipment and tools to accurately diagnose your vehicle. Foreign vehicles are more complex than your average vehicle, which is why you should only trust the experts to handle your Subaru. When it comes to Subaru clutch replacement and Subaru transmission problems, our Vancouver auto repair shop is the premier choice. 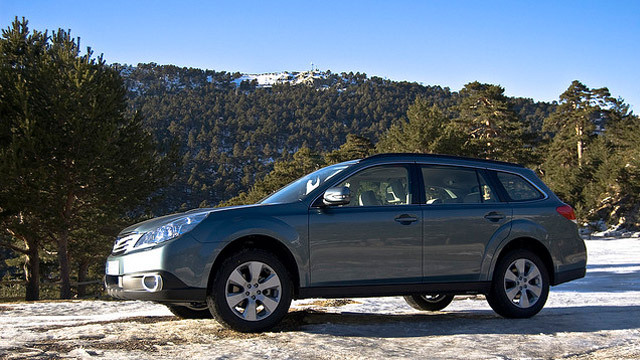 Our mechanics understand the common issues that can occur on Subaru vehicles. We will diagnose your vehicle and determine the exact cause of the issue. Our priority is to get you back on the road quickly and safely. At Hoesly Automotive in Vancouver, WA, we offer fast, friendly, and honest auto repairs and services. We are a family-owned and operated business and have been the trusted auto shop in our area since 1946. We stand by our work with a 3 year/36,000 mile warranty on parts and labor for all repair work. We offer a comfortable waiting area for your convenience as well as free shuttle transportation if you need a ride while your vehicle is being repaired. When you need your Subaru serviced or repaired, trust the experts here at Hoesly Automotive. We look forward to servicing you soon!